Hermione Granger of the Harry Potter series has always been known for her cleverness. She is everyone’s favorite book-smart witch who takes no nonsense and always puts her studies first – at least that’s what she seems to be on the surface. If we really dive into who Hermione is as a character, it turns out that she isn’t so black and white. Even Hogwart’s biggest perfectionist isn’t always perfect, and it may come as a surprise that her schooling doesn’t consume her entire life after all. So who is Hermione really, and how has she been misunderstood? True Hermione fans know that she is much more than just her studies, but too many times people try to box her in and judge her actions. From questioning why she ends up with Ron instead of Harry to blaming her for not using her Time Turner to help the wizarding world, people get things wrong about Hermione all the time. Even the Sorting Hat knew that Hermione’s intelligence was not necessarily her best or even strongest attribute, and that there was far more to her than her book smarts. Harry Potter author J.K. Rowling also weighed in on some Hermione drama to set the record straight. From questions about her race to clearing up misunderstandings about her parents and her love life -and even to punching Malfoy in the face – we’re going to show you that Hermione is far too complex of a character to be defined by a few simple traits. 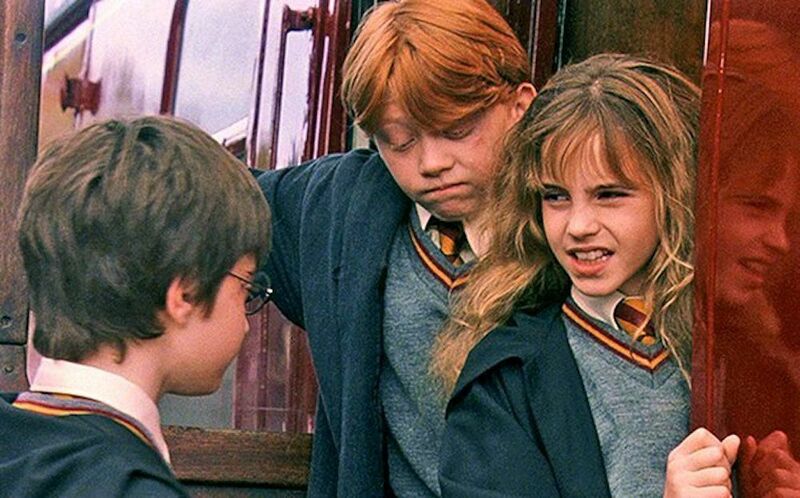 Here are the 20 Things Everyone Gets Wrong About Hermione. While Hermione’s entire persona seems to be defined by her intellect and perfectionism, it doesn’t mean that she can do everything. In fact, there’s quite a few things that Hermione was not the best at – and yes, it annoyed her to no end. For instance, Hermione quite often lost at wizard chess, which ironically was one of Ron Weasley’s strengths. She also struggled with flying a broom at first, and we rarely see her fly on her own even for fun. She even struggled with her patronus initially, which ended up taking the form of an otter. In the books, Hermione forms S.P.E.W., aka The Society for the Promotion of Elfish Welfare. She attempted to knit the elves sweaters, but it turns out that she’s not so great at that either. 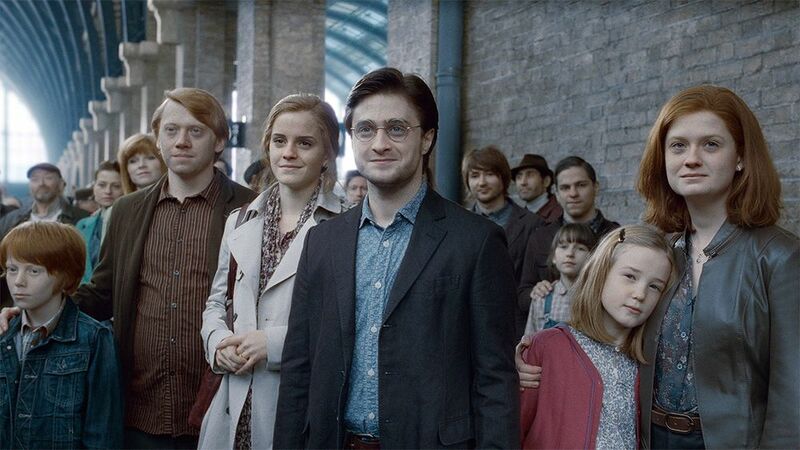 Quite a few fans were upset at the idea of Hermione forever erasing her parents memories. She initially did it in order to save them from Death Eaters, and sent her parents off to Australia where they would be safe. However, after Voldemort was defeated and the wizarding world went back to normal, what happened to Hermione’s parents? Most fans assumed she forgot about them and left them in Australia, which is frustrating to say the least. However, author of the series J.K. Rowling set the record straight during a web interview. When asked if Hermione was able to restore her parents memories and bring them home, Rowling answered, “Yes, she brought them home straight away.” Mystery solved. If you’re a Harry Potter fan, you already know that a lot of people wanted Harry and Hermione to end up together in the end. While they seem like a proper match, J.K. Rowling admitted that she had ulterior motives by having Hermione end up with Ron. 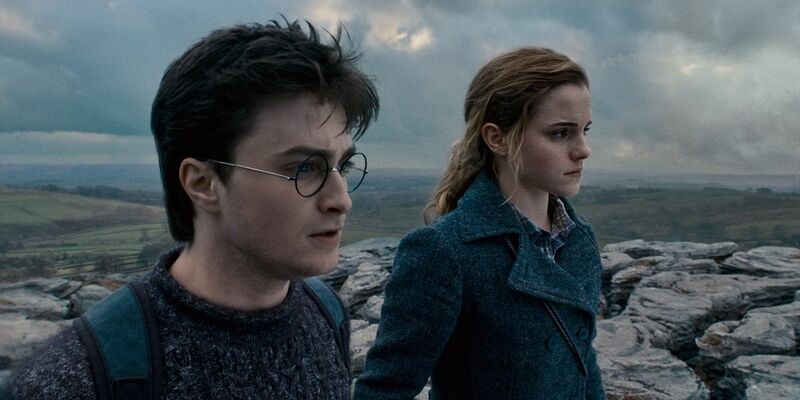 Rowling said that it “was a choice [she] made for very personal reasons, not for reasons of credibility,” and even admitted the pair would likely need counseling to make it work – but is it really that far off that Ron and Hermione ended up together? Considering the fact that Hermione’s soft spot for the under-dogs, and her obsession with odd men – Viktor Krum and Gilderoy Lockhart for example – her falling in love with Ron may not be so crazy after all. Hermione is everyone’s favorite bookworm, and is often defined by how smart she is. Even the teachers at Hogwarts knew it, giving her special treatment and letting her use a time turner in order to take more classes than the other students. So wouldn’t it make sense that someone with such high intelligence would have been sorted into Ravenclaw? Those sorted into the Ravenclaw house are known for their desire for knowledge and wisdom. Interestingly enough, the sorting hat was confused as well. The term “hatstall” in the wizarding world refers to when the Sorting Hat takes longer than 5 minutes to sort a student. Hermione, who the hat took 4 minutes to sort, was almost a hatstall herself. The Sorting Hat eventually decided that Hermione’s courage was just as strong, if not stronger than her intellect. In the Harry Potter book series, Hermione is described as having bushy hair and buck teeth. While we’re now used to the beautiful Emma Watson as Hermione, with normal sized teeth, at one point, her appearance was altered to try to stay accurate to the books. In the first movie, Sorcerer’s Stone, they actually gave Watson fake teeth to wear in one scene – the final scene. Ironically, they filmed the final scene on the first day of filming, and after that the buck teeth were gone for good. “I realized that she’s never going to be able to perform with these huge fake teeth in her mouth for the rest of the movie,” director Chris Colombus explained. Look closely, and you can still see her fake teeth in the final train scene. As much as it seems like Hermione is dragged around unwillingly by Harry and Ron through their ridiculous plans, that really isn’t the case. 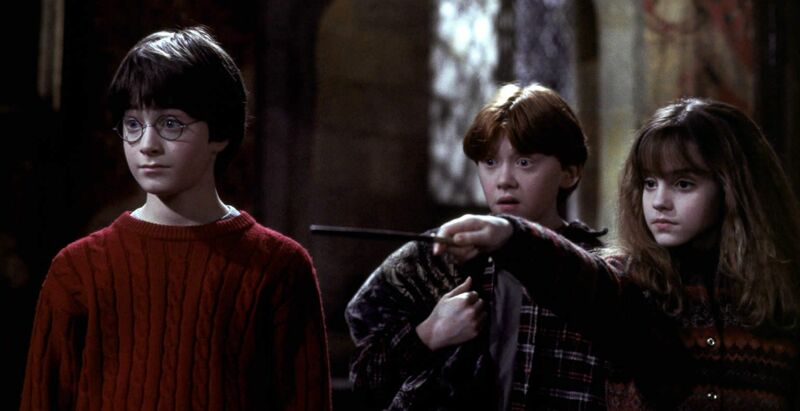 In fact, without Hermione, some of Harry and Ron’s most diabolical plans would never have even been thought of. 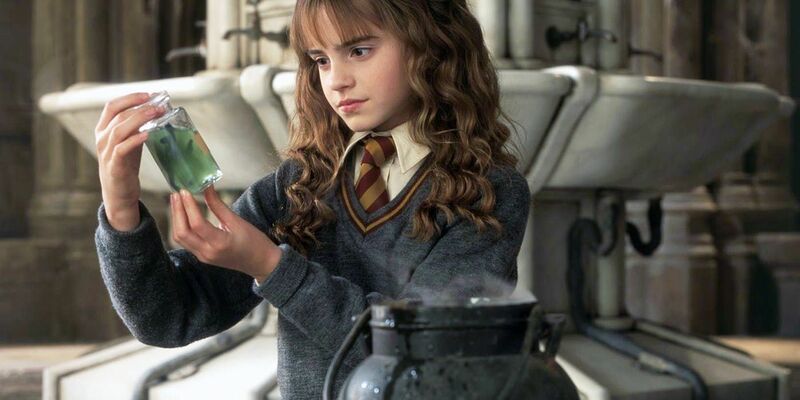 For instance, it was Hermione’s idea to brew Polyjuice potion in order to impersonate Slytherin house members and get closer to Draco Malfoy. This plan involves not only brewing the potion, which is against the rules, but also knocking out Crab and Goyle and storing them in a closet until the plan is complete. In many instances, Hermione is the brains behind the rule breaking and even illegal activity. She even set Snape’s robe on fire. 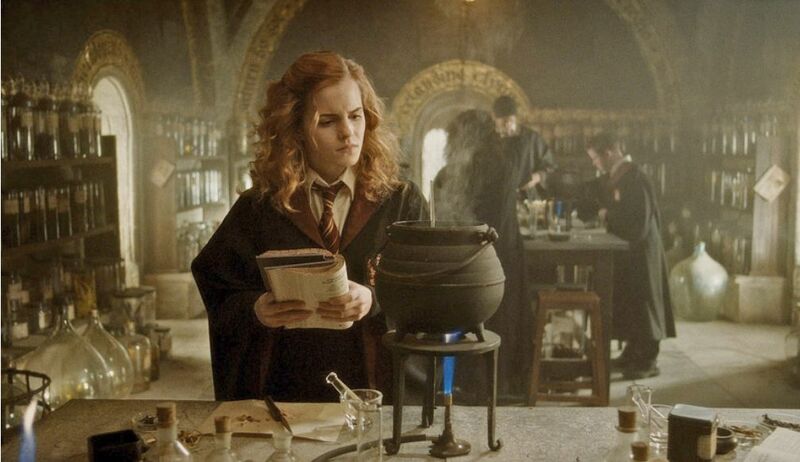 Considering what a stellar student Hermione is, along with her front to back knowledge of seemingly every spell book there is, you would think she comes from a long line of talented wizards. Hermione’s abilities become even more impressive when we realize that she is muggle born, and has no witches or wizards in her family. Both Harry and Hermione didn’t know they were wizards until they got their Hogwarts letters. Between that time and arriving at Hogwarts, Hermione managed to read the entire book Hogwarts: A History, as well as studying up on multiple spells and even practicing a few. For someone who only learned that the wizarding world existed months before entering it, she knows more about it than even most pure bloods. 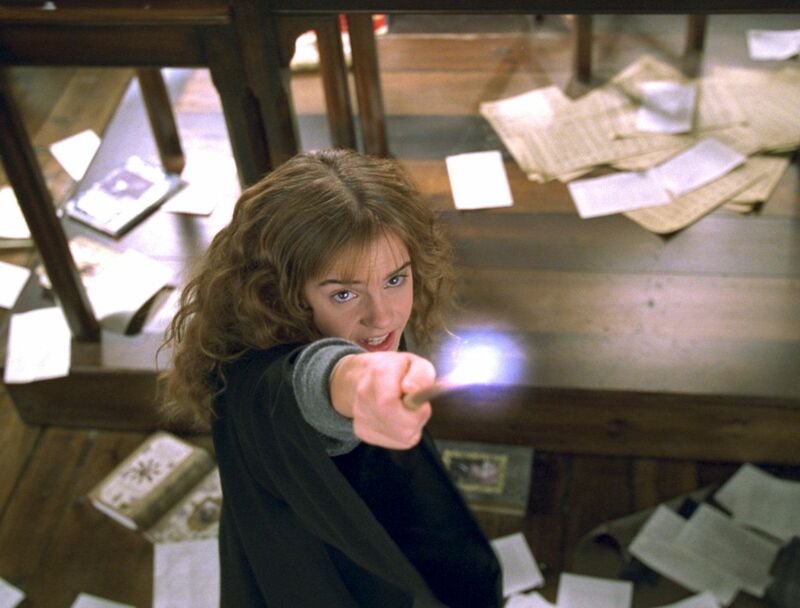 Many fans gave Hermione flack for not using the Time Turner to correct wrongs in the wizarding world. Why didn’t she go back in time and save Harry’s parents, or stop Voldemort before he even started? Well, it’s because she can’t. Anything more, like traveling years in the past, could have dire consequences. She was already breaking the rules and taking a huge chance saving Buckbeak, but doing anything beyond that could have altered the world in terrible ways. We’ve established that Hermione is ridiculously smart, right? Anyone who is that much smarter than most of their friends is bound to take their own measures when it comes to back-up plans. 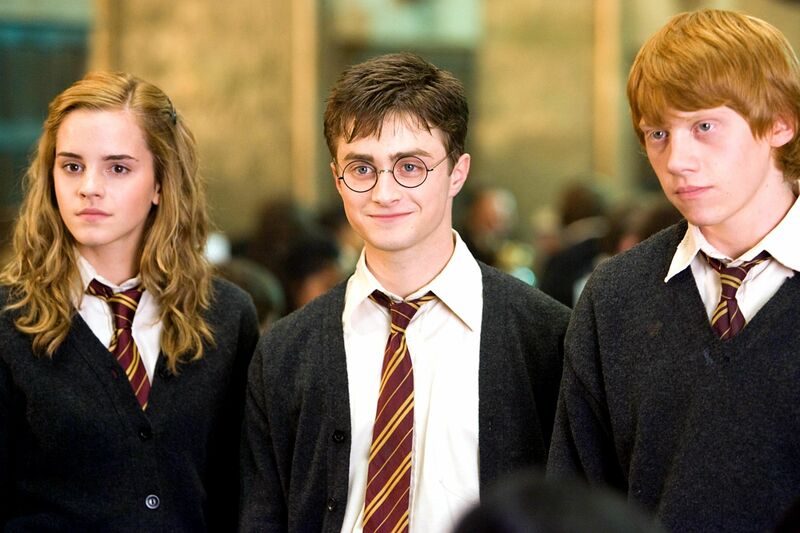 Hermione tricked her closest friends Harry and Ron for quite a while with the Time Turner, so what else did she do behind their backs to ensure things went her way? One of the best examples is when Dumbledore’s Army is formed. 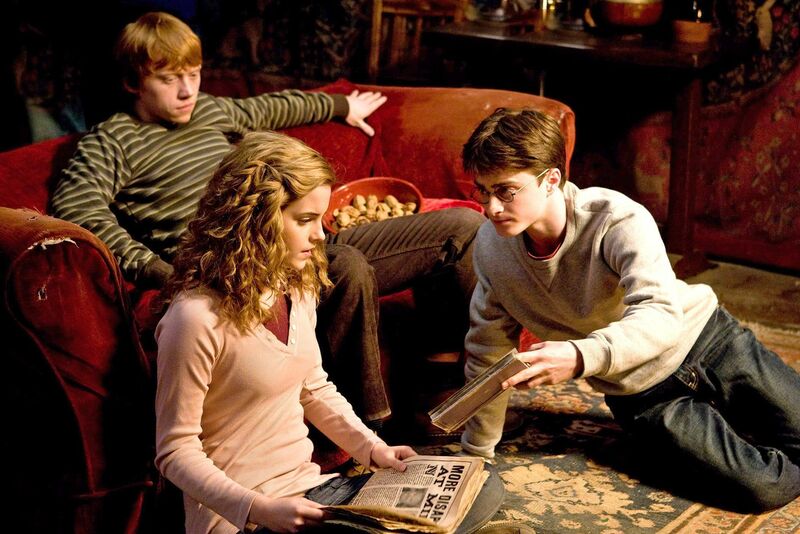 There is a piece of parchment that all of the members sign, and Hermione secretly jinxed the parchment. The jinx was a safeguard against anyone who wanted to betray Dumbledore’s Army. Eventually, one of the members did betray them to Dolores Umbridge, and the word “SNEAK” appeared across the students head because of the jinx. While fans will always debate whether Hermione should have ended up with Ron or Harry, if you look at her track record, Ron makes a lot of sense. Most people were upset because Harry seemed like the logical choice, and Hermione is supposed to be logical, right? Well, when it comes to love, not so much. Consider Hermione’s other “flings” throughout the series. The obvious one is Viktor Krum, Tri-Wizard Tournament hunk who was nice to look at but could barely hold a conversation. Her obsession with Gilderoy Lockhart, a charmer and total con-man, was surprising too. How could Hermione not see through his lies? You would think Hermione wouldn’t be one to swoon over the guy that all the other girls want, but her track record shows us the opposite. 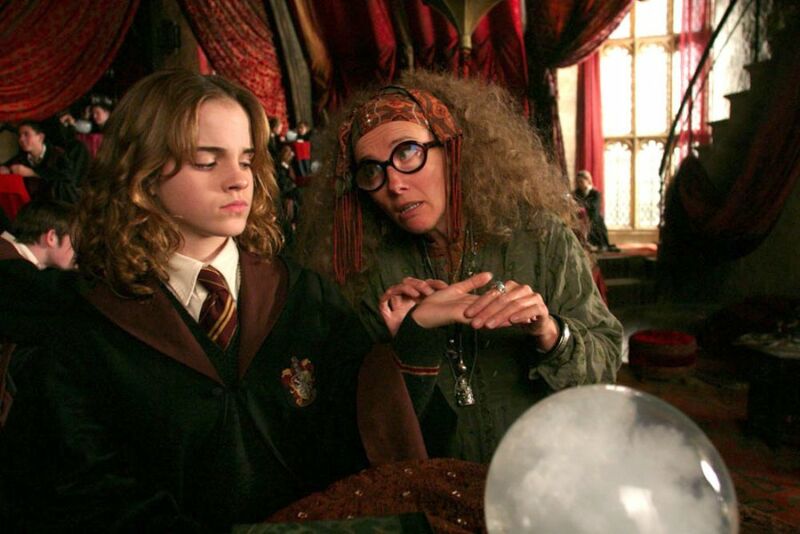 At first glance, it can seem like Hermione had an immediate dislike for Professor Trelawney from the start, and for no good reason. It almost seems out of character for Hermione to be so cruel to a teacher, but looking deeper, it makes sense. In the same way that Astronomers and Astrologers may not see eye-to-eye, Hermione and Trelawney had opposite views and ways of looking at education from the get-go. Trelawney’s “books can only take you so far” philosophy goes against everything Hermione has used to built herself. It makes sense that Hermione would see Trelawney as a fraud, and that Trelawney in return would see Hermione as too involved in her studies to see the bigger picture. Hermione says herself that she didn’t know she was a witch until her Hogwarts letter came, but in order to get a Hogwarts letter, you must first show magical ability, whether she understood it or not. In order to get accepted into Hogwarts, and even get your letter in the first place, you must exhibit some sort of magical abilities in childhood. The same way Harry had unexplained magical instances – like the python at the zoo – even muggle borns have those instances in childhood. Hermione admitted that she didn’t know she was a witch until she got her Hogwarts letter, so just like Harry she likely didn’t understand what was happening when magical things went on around her. You would think that the entire point of a Time Turner is to control time and bend it to your will. So why was Hermione always popping up in the middle of lectures, instead of showing up before hand? Well, there’s two explanations for that. The first, and most important, is that Hermione didn’t have as much control as we may think. Time Turners work in exact increments of 60 minutes, so timing classes was likely a difficult task. Also, Dumbledore often warned Hermione of not running into her past self, she was likely avoiding that as well. When it comes down to it, we give Hermione far too much flack for exactly how and why she used her Time Turner. We’ve established that Hermione was not familiar with the wizarding world until just before she came to Hogwarts, which means she wasn’t familiar with Voldemort either. Unlike Harry, Hermione bought into the fear immediately. Hermione, however, was very careful never to say Voldemort’s name, at least in the beginning. Having read Hogwarts: A History, and always trusting her books, Hermione needed no convincing. Harry didn’t see the point nor understand the fear of Voldemort at first. Hermione, having done her studies, learned to fear Voldemort before she even set foot in Hogwarts. Hermione may be a genuis, but she’s no superhero. Not to burst any bubbles, but Hermione isn’t always the walking encyclopedia we expect her to be. She’s still human, and she forgets things sometimes too. Hermione has a ridiculously good memory, but even after reading Hogwarts: A History multiple times, she had trouble remembering what the Chamber of Secrets was, telling Harry and Ron that she left her copy of the book and home and the library was out. There was also an instance where Hermione had to be reminded who Nicholas Flamel was. Flamel is incredibly significant, he is the creator of the Philosopher’s Stone. Sometimes even the smartest people can forget the most important facts. At first, many people were confused as to why Hermione lied about going to search for the troll in Sorcerer’s Stone. She was, after all, in the girls bathroom where she was allowed to be. 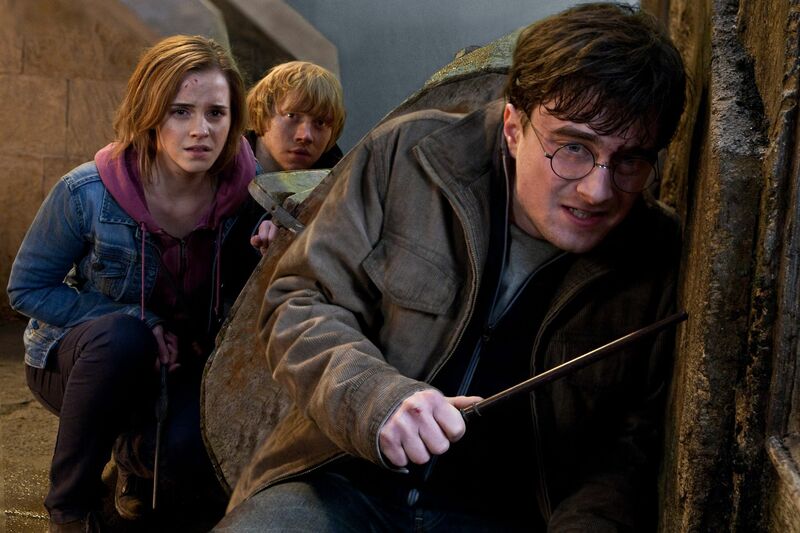 It makes sense when you realizing that Hermione was protecting her new friends, Harry and Ron. Realizing that Harry and Ron were about to be punished for their actions and that she was going to get away without even a slap on the wrist, she decided to step up. That’s quite some loyalty for a brand new friend. A huge part of who Hermione is has always been the fact that she is muggle born, the only child of two dentists. However, why would Hermione have protruding buck teeth if both of her parents are dentists? Either way, she always made it very clear that her parents and her family were not magical. Interestingly enough, Hermione was at one point meant to have another family member – a sister. J.K. Rowling admitted that she planned to give Hermione a little sister and introduce her later in the series. As the books went on, Rowling found it to be an unnecessary addition so late in the game. We definitely have some questions – would this sister have been a witch too? Giving Hermione a little sister could have drastically changed her character arc. Hermione’s race has been a topic of debate for some time. 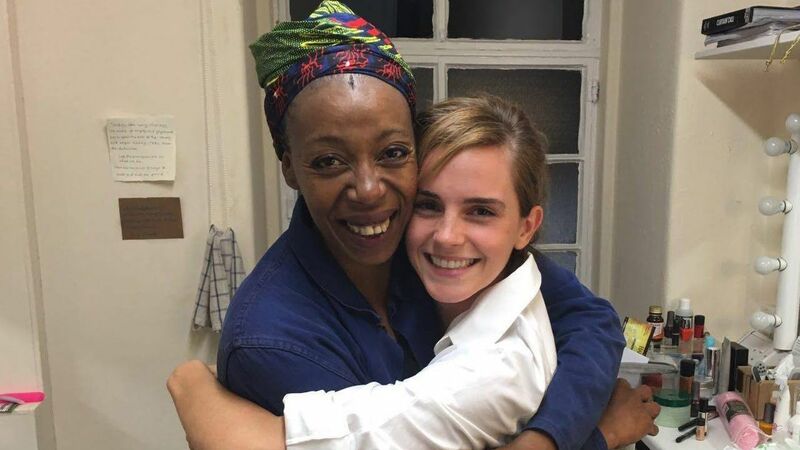 When Emma Watson was first cast in the movie, and again when Noma Dumezweni was cast to play Hermione in Harry Potter and the Cursed Child on Broadway, people questioned Hermione’s race. Fans often reference a single line in Prisoner of Azkaban that says Hermione is “looking very brown” as evidence that she is black. Others thought it referred to her bring tan from the summer. Well, why not go straight to the source? J.K. Rowling herself crushed the debate in a single tweet. She says, “Canon: brown eyes, frizzy hair, and very clever. White skin was never specified. Rowling loves black Hermione.” There we have it. Yes, we’re talking about that iconic scene where Hermione finally has enough of Draco Malfoy’s bullying ways and she punches him in the face. It was such a big moment because nobody saw it coming, and it seemed so out of character for sweet little Hermione. Well, if you think that’s true, you haven’t been paying attention. Hermione is anything but sweet and innocent anymore when she punches Malfoy. By the time this incident occurs, Hermione has had quite the character development. She has had to deal with Malfoy calling her “mudblood” and terrorizing her friends whenever he can, and is also well-versed in breaking the rules, fighting, and drugging fellow students. Should we really be surprised that she snapped on the biggest bully in the school? While it may seem as though Hermione is constantly getting unfair and favored treatment, she doesn’t get it without good reason. As with most over achievers, Hermione is able to get away with a lot more than the average student because she makes up for it by going above and beyond in her classes. Hogwarts professors tend to take her word over Harry and Ron, which comes in handy for them many times. She’s eager to please when it comes to her studies, so instances like being gifted the time turner, or often avoiding punishment, make sense. Harry and Ron should be thankful they have such a favored friend. Though seemingly unfair, Hermione definitely deserves it. What else do you think everyone gets wrong about Hermione in Harry Potter? Let us know in the comments!